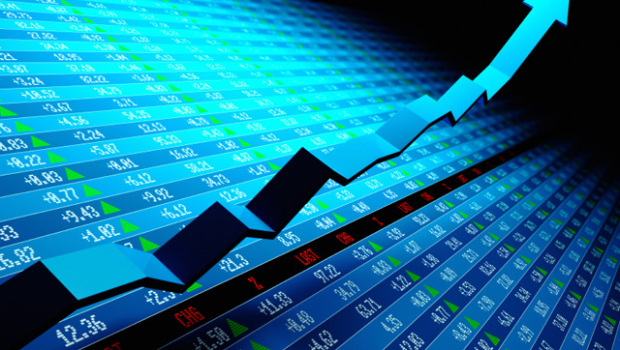 The value of a publicly traded company’s stock fluctuates constantly. This is due to the volatility of the stock market, and Forex online trading is even worse. A highly valued stock can suddenly turn into an unprofitable one within a single day. That is why research and up-to-date knowledge is so important. If you are a stock trader, you might currently be asking yourself “what stocks should I invest in?” Fortunately, this post will provide you with information on some of the upward-trending companies of 2016. Here are some of the best stocks to invest in. LinkedIn has long been one of the leaders in professional networking and online employment opportunities. It is a highly recognized name that is utilized by countless businesses and individuals all over the world. Because of this, LinkedIn has seen a consistent increase in users. As of late 2015, they have seen a 20% increase in registered members. Corporate solutions members have also increased by 31%. An increase in individual users influences corporate entities to utilize the platform for employment searches. Therefore, growth is being driven at an incredibly sustainable rate. Online advertising revenue has jumped over 20% in the last year. Overall sales revenue has increased 37%. This means they are growing in profitability at a similar rate to their membership growth. All of this translates to LinkedIn being one of the most reliable stocks to invest in. Solar Winds does not sell solar or wind power, despite their company name. This company actually offers corporate network monitoring software. They make use of a software-as-a-service model, which typically costs less for implementation than other, similar programs from IBM and HP. Solar Winds has experienced 40% annual growth over the last five years, as well as a 30% profit margin. Therefore, it is an excellent stock to invest in once the online stock brokers start selling it, no matter whether you are a beginner investor or a seasoned Wall Street expert. Allergan is a global pharmaceutical company that is currently on the rise for a few reasons. Firstly, it is in the midst of an enormous merger with fellow pharmaceutical company Pfizer. This merger is expected to raise current stock value by nearly 15%. In addition, Allergan posted a 13% growth in revenue in the third quarter of last year. This growth is expected to continue through 2016 as well. This is due to new products like Kybella and Dalvance being prepped for release into high-growth markets. Analysts had Allergan’s stock value at higher than $400 a share even before the Pfizer merger was announced. So it is safe to say that they are one of the best stocks to invest in at this time. This one is slightly unconventional compared to the other companies on this list. Micron Technology stocks have dropped nearly 60% in the last year. They are currently trading at 7.2 times trailing earnings. This may seem like a red flag. However, it is actually advisable for you to buy stocks while they are priced at bargain value. Micron is a trustworthy company with the third largest market share in DRAM memory chips. They are introducing new generation products such as the 3D NAND Flash chip. The company is also constantly looking to reduce production costs. Their value can only go up from here. It is likely that your cheaply-priced shares will bring in hefty returns in the future. This and their status as the third largest memory producer in the world are good reasons to invest in Micron stocks. It is reasonable to be wary of investing in retail industry department stores during the rise of online retailers. TJX owned businesses, like Marshalls and TJ Maxx, however, are unique in that they thrive on specific consumer needs. People are always looking for discounted brand-name products. TJ Maxx and Marshalls offer cheap clothing and household items in real-time. Analysts expect TJX companies to grow by 10% in 2016. This is twice as much as predicted for any other department store. They are going to flourish due to a constant demand for discounted goods. Perhaps you should look into TJX companies for worthwhile stock investment options.